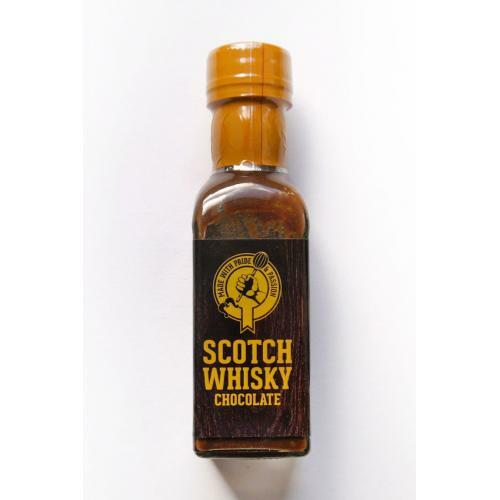 Ingredients: Sugar, partially inverted sugar syrup, chocolate (cocoa solids, sugar), water, Scotch Malt Whisky (12%), whipping cream, corn flour, 4.8% ABV. 2) Whisk together the egg yolks and the sugar in a separate bowl until thoroughly combined. 3) Heat the double cream in a pan with the orange zest, once warm, add to the egg mixture, then pour back into the pan, stirring continuously until a light custard consistency is reached. 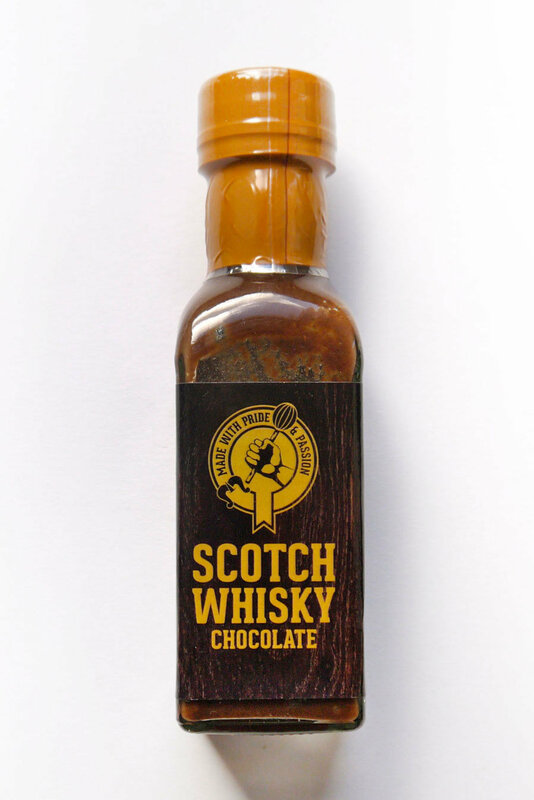 4) Remove from the heat, then add the cocoa powder and a bottle of our delicious chocolate sauce. 5) Dissolve the gelatin into the mix and allow to chill for 10 minutes, then whisk using a hand mixer to create bubbles. 6) Chill for at least two hours, and serve with orange segments. A sweet and rich dessert sauce, ideal with ice cream, sponges, meringues, fruit.